Operation Shitter Fix – Own Less. Do More. Every fan we’ve got is running. Tim’s in the head with rubber gloves, bleach, paper towels, tools, and a toilet repair kit. 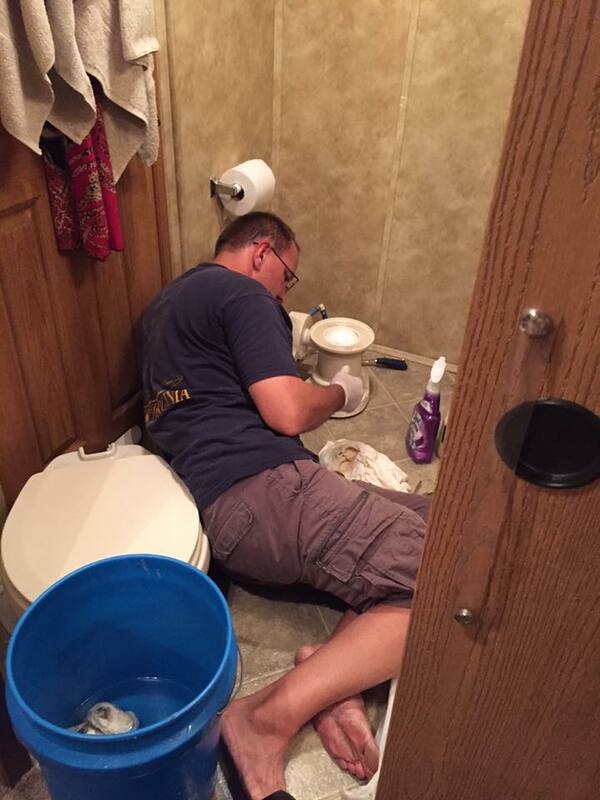 Operation Shitter Fix is underway! He is muttering unprintable things.